The Fleabag bites back. A rip-roaring account of some sort of female living her sort of life. 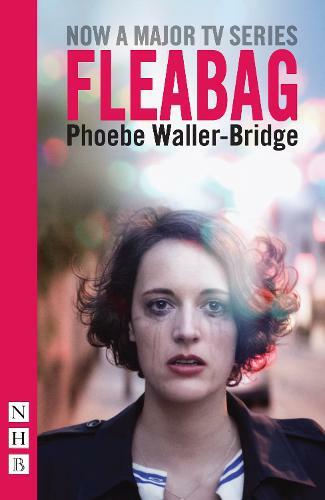 Phoebe Waller-Bridge's debut play is an outrageously funny monologue for a female performer. It premiered at the 2013 Edinburgh Festival Fringe, performed by Phoebe herself, before transferring to Soho Theatre, London, for several successful runs, followed by a UK tour. It won a Fringe First Award in Edinburgh, the Most Promising New Playwright and Best Female Performance at the Off West End Theatre Awards, The Stage Award for Best Solo Performer and the Critics' Circle Award for Most Promising Playwright. It received a Special Commendation in the Susan Smith Blackburn Prize and was nominated for the Olivier Award for Outstanding Achievement in an Affiliate Theatre. In 2016 it was turned into a wildly successful and 'utterly riveting' (Guardian) BBC television series. This edition also features an introduction by the author.